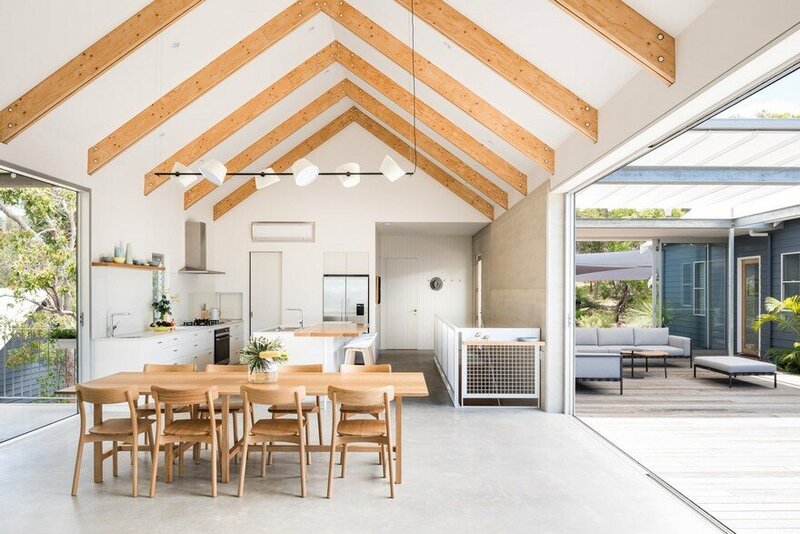 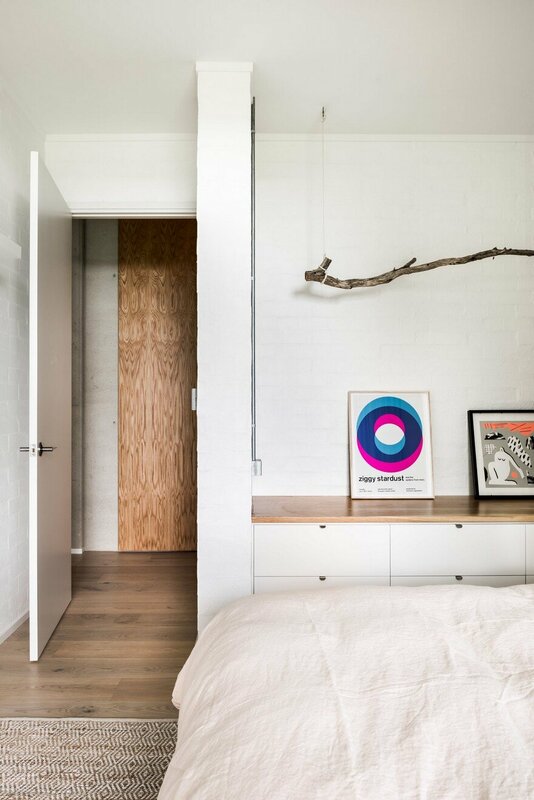 Eagle Bay House, located in the coastal south western town of Western Australia, was designed by architect Matthew Crawford in collaboration with Rosie Burton, daughter of the owners and graduate architect. 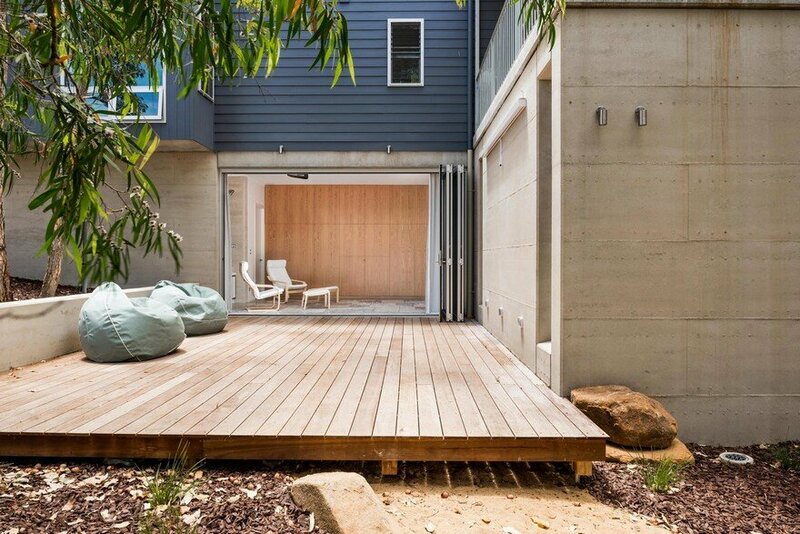 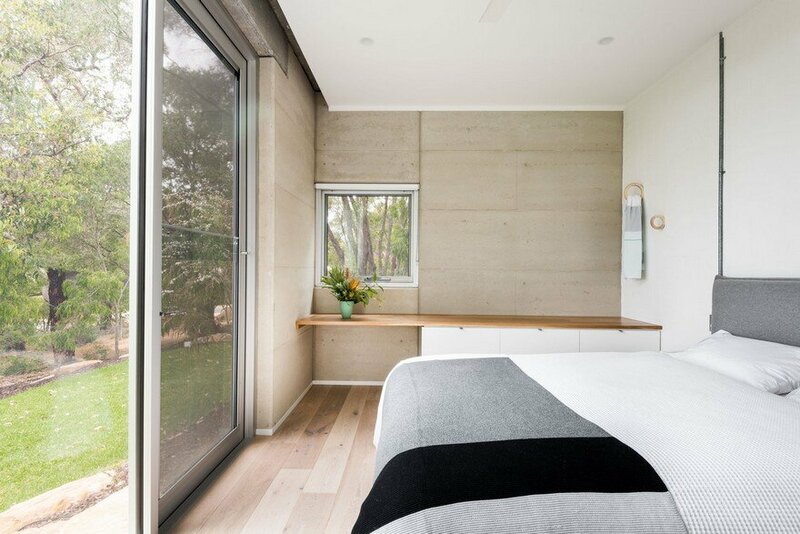 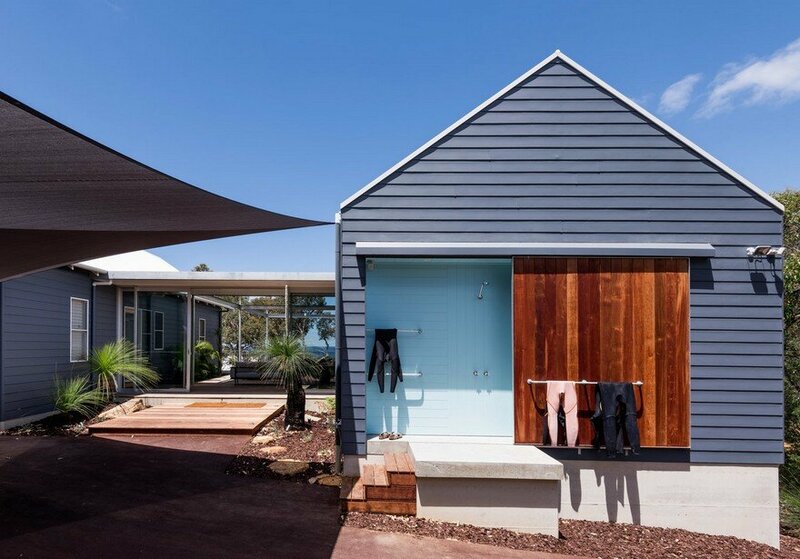 The project sees the major addition and alterations to an existing family beach house. 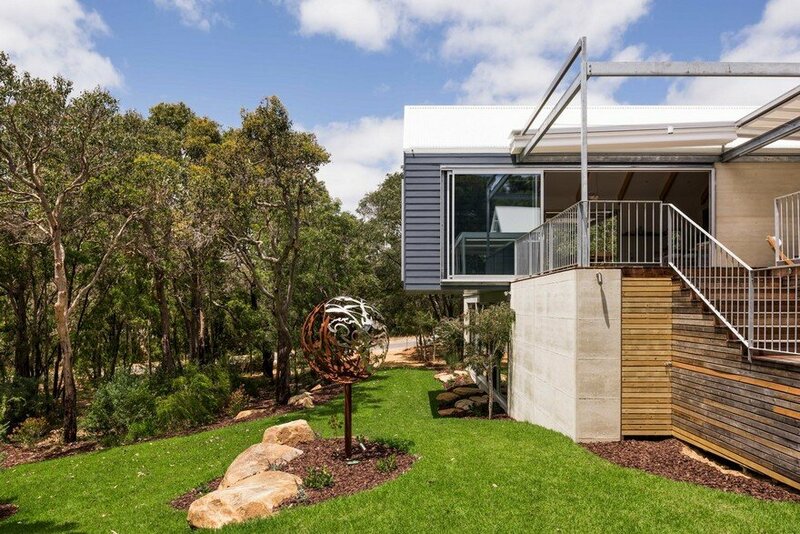 Just one street back from the tranquil setting of Eagle Bay, the owners bought the bush block twenty one years ago and built their first home, a modest weatherboard cottage for the then- family of three. 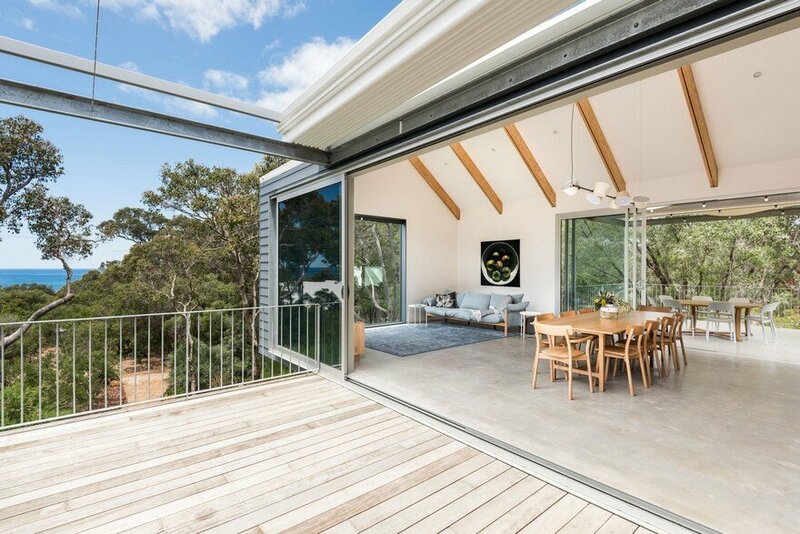 As the family has grown, so too has the house, offering a place of seclusion and comfort amidst years of surfing and country adventures. 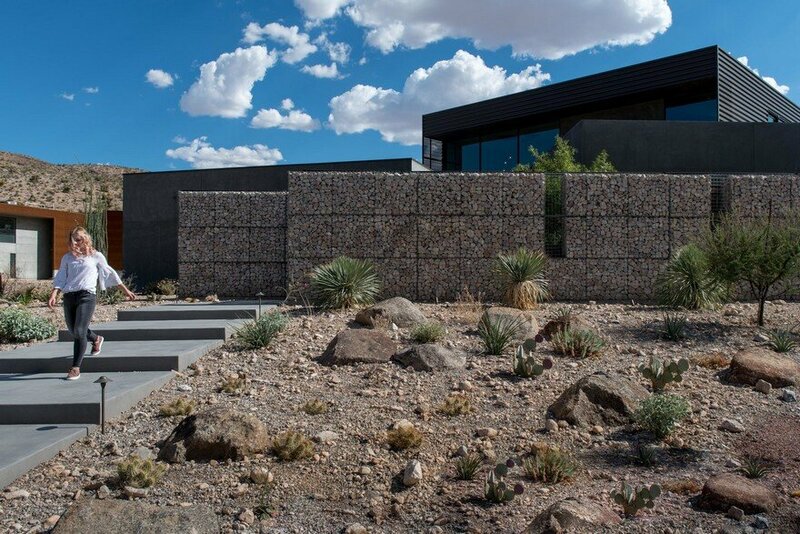 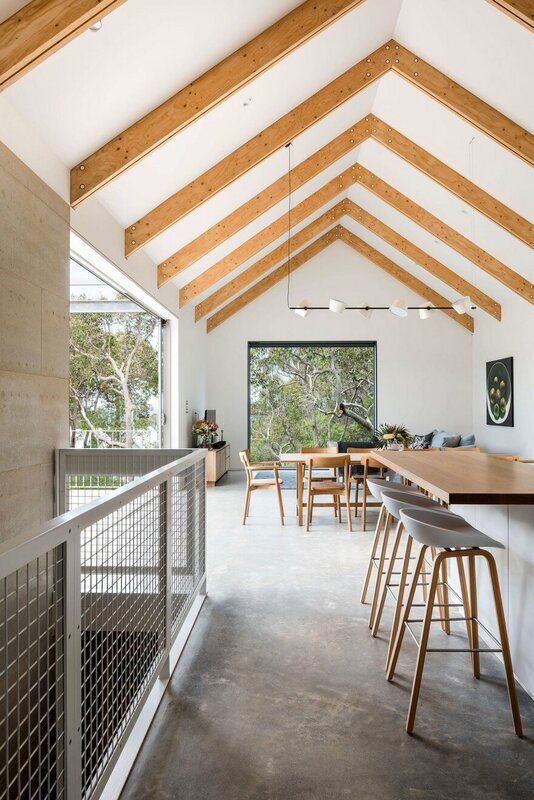 Built directly south and emulating the existing gable forms, the addition introduces simple geometry, a sustainable palette of materials and passive solar to the family home. 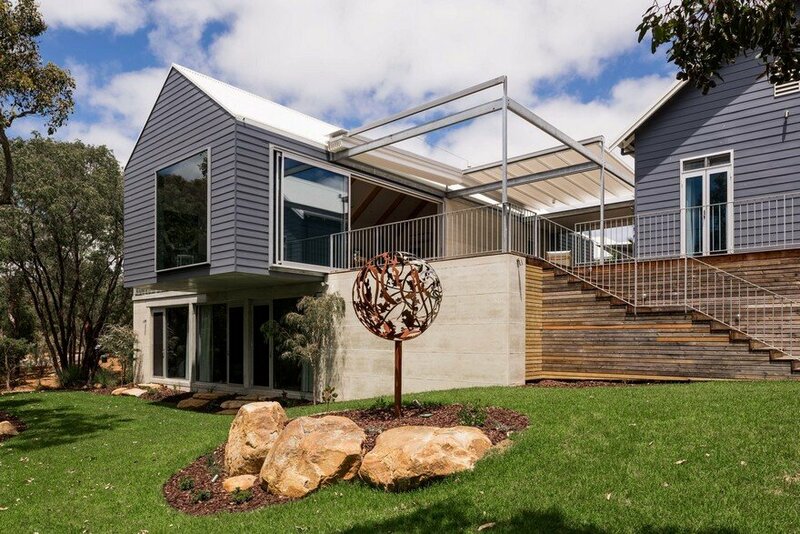 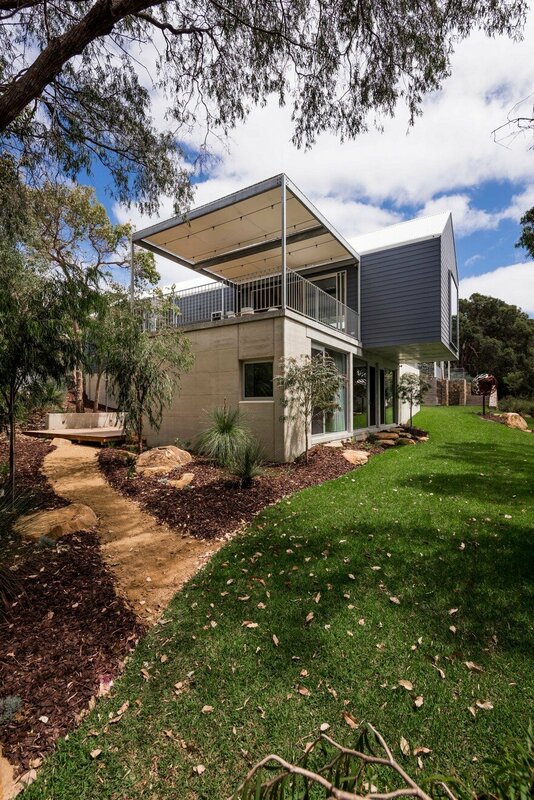 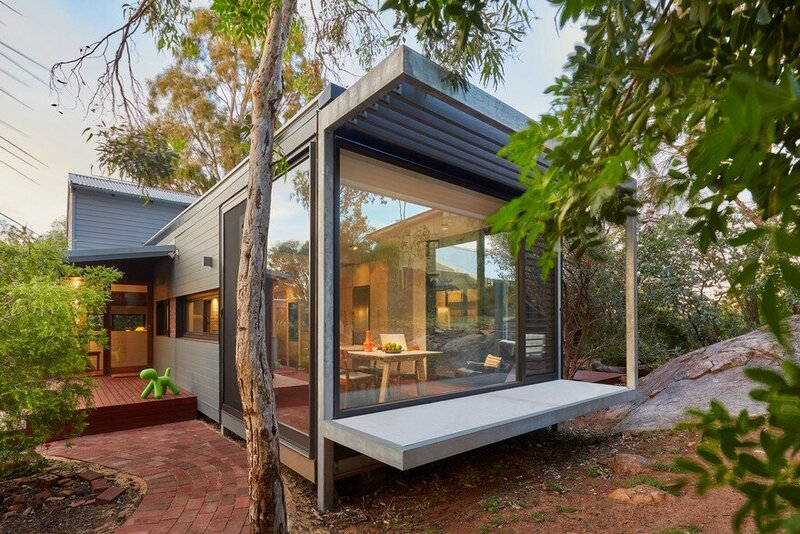 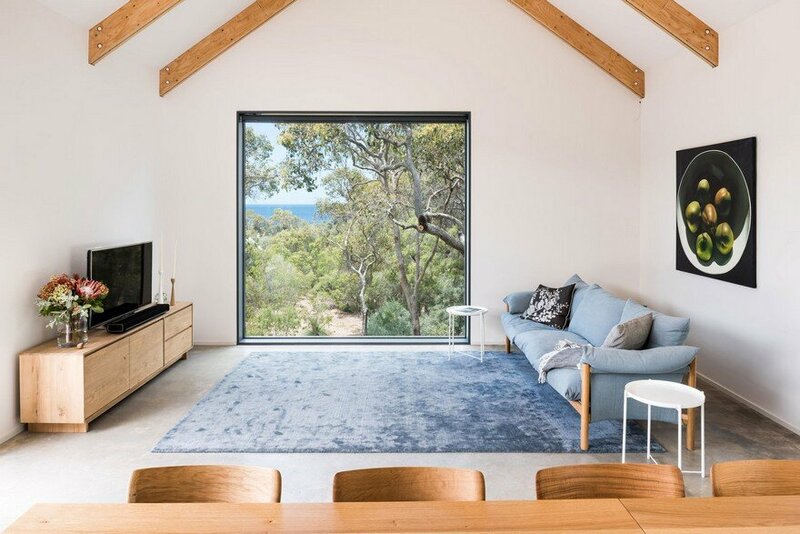 Blue weatherboard clads the upper level comprising indoor and outdoor living areas, kitchen, and master suite. 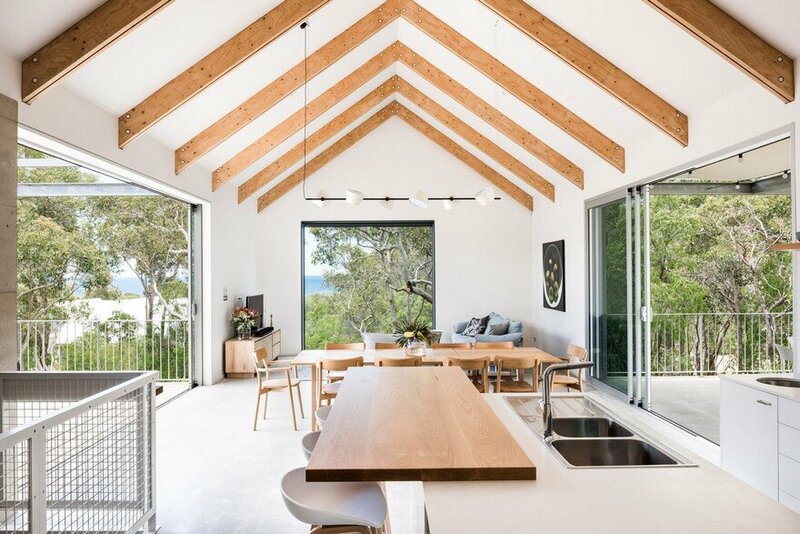 Exposed roof timbers accentuate the simple gable form and a large picture window frames the view from the living room through the treetops to the ocean. 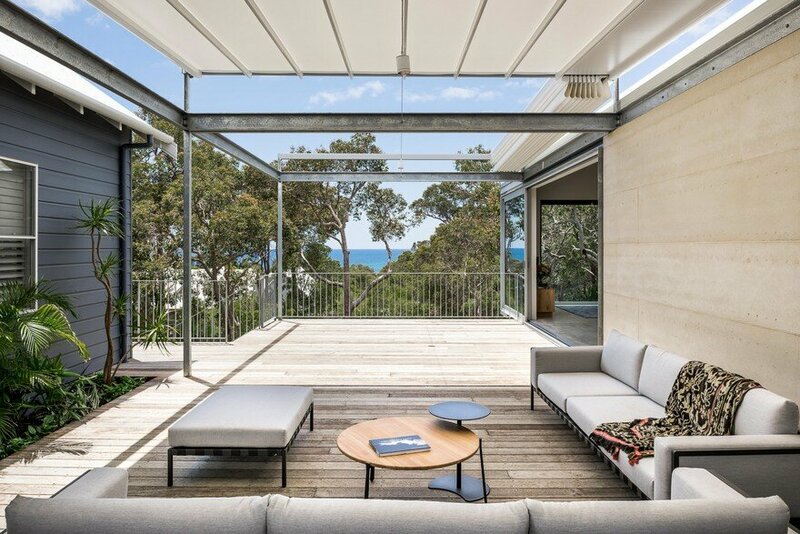 Downstairs rammed limestone envelopes bedrooms, bathroom and laundry and sets a textural earthy backdrop to the outdoor cinema. 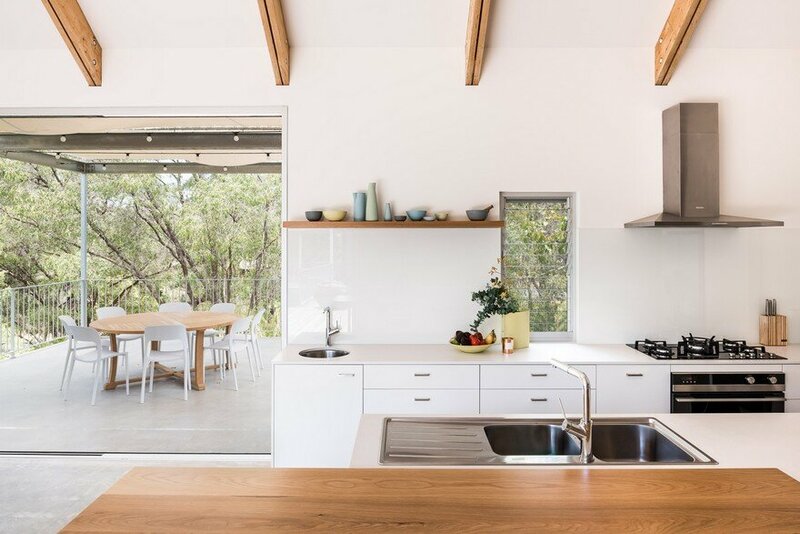 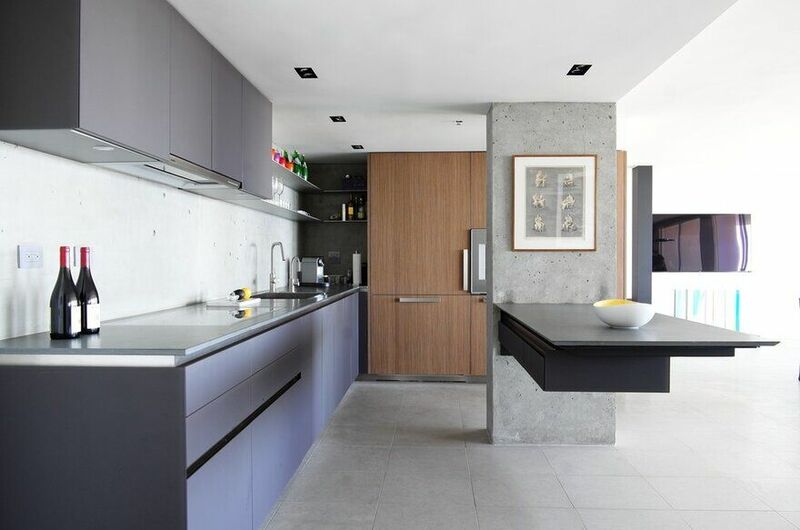 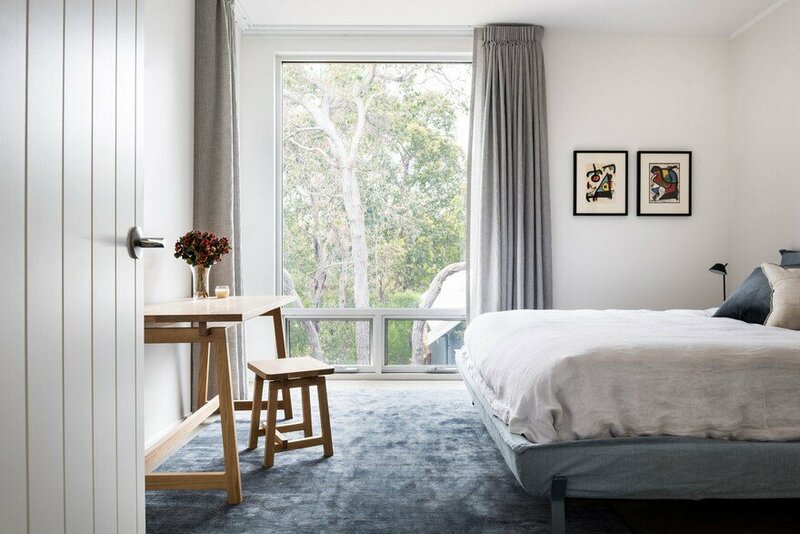 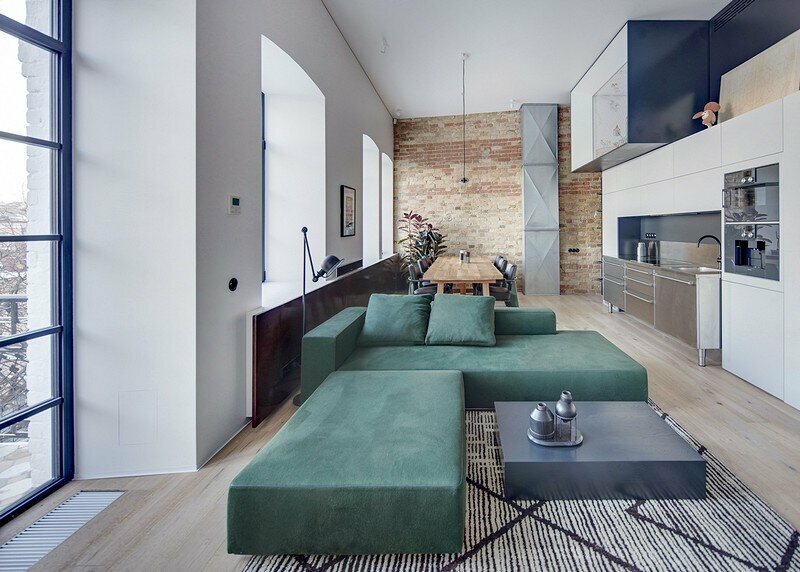 Raw materiality is expressed throughout with elements of timber, rammed limestone, concrete and steel, while classic whites and the family’s carefully selected furniture, soft finishes and artwork inject warmth and depth to every space.